Please click the image below to select the application form you require. These funds have been provided by the University of Lincoln as part of the Access Agreement approved by the Office of Fair Access (OFFA). The funds are applied for via an application process and an assessment is carried out using the evidence supplied. Applications for 2018/19 may be submitted from 15th October 2018 until the official end of your course or 31st July 2019 (whichever is earlier). It you believe you are eligible, you can apply online by clicking HERE. For information regarding the assessment process please read the Additional Assessing Notes in conjunction with the information contained in the application form. The Course-related Travelling Grant is to help with travel, within the UK or abroad, for course-related activities. The travel could be for a work placement, to attend a conference or to study abroad. Students must have UK or EU status, be enrolled on an undergraduate or postgraduate course and have the support of their academic tutor to be considered. Financial Assistance Fund Travel Grant – The University of Lincoln Financial Assistance Fund Travel Grant has been created in recognition of the rural nature of Lincolnshire and North Lincolnshire. It’s intended as a contribution to the travel costs incurred by eligible undergraduate students who attend University from their permanent home address. *According to your 2018/19 Student Finance application assessment. The Fund will be open from 15th October 2018 until 31st July 2019* (*the fund may close earlier if funds become exhausted). Where applications remain incomplete at the closing date, they will not be considered. Additional information for students in financial hardship. Enrolled full-time UK home students who are eligible for a Maintenance Loan but whose funding is delayed at the start of the academic year and who have no other means of support, may apply for a Short-term Loan from the University of Lincoln Financial Assistance Fund (ULFAF). It is a loan and therefore repayable. The University of Lincoln has authorisation from the Financial Conduct Authority to give debt advice and issue short term loans. This fund is to offer exceptional emergency support to an international student who experiences an unanticipated event which requires them to have to go home urgently. The student would be expected to be able to demonstrate that they cannot afford to pay for their own ticket as well as supply evidence of the situation. If approved, this fund may be used to purchase a travel ticket on the student’s behalf. These funds are not repayable by the students and this fund will be withdrawn once funds are exhausted. To be used if a student can demonstrate that they are funded by their Government (or exceptionally, by an employer) but have experienced a short delay in the receipt of a payment. The small amount of cash which can be loaned is to assist with immediate food costs. The student is expected to provide evidence of the delay in the receipt of their maintenance funds as well as evidence of their hardship. This is a loan and is therefore repayable – the student is expected to provide debit card details in order to enable an automated repayment facility to be set-up. This loan may be made where students are funded by their country’s Government but payments are delayed due to civil uprising. The student is required to evidence the delay to their maintenance payments as well as provide evidence of their immediate hardship. These loans are repayable and the student is expected to provide debit card details in order to enable an automated repayment facility to be set-up. Application forms and further information are available from the Student Funding Team, Student Support Centre. The Leeke Educational Foundation was established under the terms of the will of the Reverend Canon Edward Leeke (1841-1925), a Sub-Dean of Lincoln Cathedral. He helped pioneer education in Lincoln, notably the school in Christ’s Hospital Terrace, now a part of Lincoln University. It has a policy on safeguarding vulnerable beneficiaries which can be viewed on request. Are aged from 16 to 24 when funds will be needed. Reside, or whose parents/carers reside, within the boundaries of the City of Lincoln. Are in need of financial assistance through low family income and/or difficult circumstances. Fees and other costs directly associated with courses of study at secondary school, teacher training colleges, universities and other educational establishments approved by the Trustees. Fees, equipment, tools, books, travel and other costs required in training for a profession, trade or calling. Costs incurred in using leisure time to develop spiritual, moral, physical and mental capacities. Completed application forms and references must be submitted by Monday 17th September 2018 at the latest, after which awards decisions will be made. Blackburn Bursary – this is for students who are care leavers (as defined by the Children (Leaving Care) Act 2000 and have been in care within 5 years of the start of their course. There is a short application form which students should complete (email: studentfundingteam@lincoln.ac.uk for a copy of the form). Students are also required to submit written evidence of their period in care from their care provider (Local Authority). The total award per year is £1,500. If eligible, £500 will be credited to the student’s nominated bank account once approved. The balance of £1,000 will paid upon successful completion of the academic year. Students should apply each year. Foyer/Supported Housing Bursary – for students who enrol at University having come directly from living in a Foyer or other supported housing* (*where they lived between the ages of 16 to 18). Each year the Foyer Federation inform the University of students who intend to enrol directly from living in a Foyer. These Bursaries are funded through the University of Lincoln Hardship Fund. There is a short application form which students should complete (email:studentfundingteam@lincoln.ac.uk for a copy of the form) and evidence should be supplied of evidence of period in supported housing and any benefits received. The total award per year is £1,000 which is paid in 3 termly instalments (subject to attendance checks). Students should apply each year. You cannot get both the Foyer/Supported Housing Bursary and the Blackburn Bursary. In addition to University of Lincoln specific scholarships & bursaries there are more via external agencies. The Student Health Association runs the Disability Assistance Fund. The fund helps students with disabilities to keep up with their studies. The maximum amount of each award is £500 and students must be involved in higher education on a full-time or nearly full-time basis. Student are expected to have applied for the Disabled Students Allowance before applying to the Disability Assistance Fund. 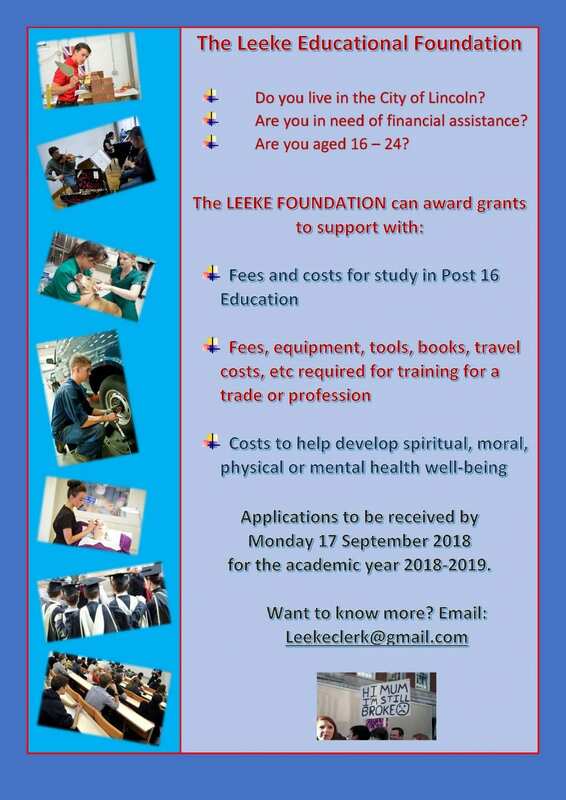 Leeke Church Schools and Educational Foundation offers grants to students aged 16-24 who live, or whose parents live, in the City of Lincoln. For more information follow this link. Turn2US – a charity that helps people in financial need to access welfare benefits, charitable grants and other financial help. Prospects – jobs and funding to support postgraduate study. Funds for Women Graduates – awards to women for Postgraduate Study and Research. postgraduatefunding.com – search for “small grants for postgraduate study”. The Leverhulme Trust– said to “award funding across academic disciplines, supporting talented individuals in the arts, humanities, sciences and social sciences to realise their personal vision in research and professional training”. The Sir Richard Stapley Educational Trust– said to “support the work of mature students of proven academic merit, and in financial need, who are pursuing further degree qualifications at an institution in the UK”. Scholarship Search – a useful scholarship search engine. FindAPhD– primarily a PhD search engine, however, can also be used to search for studentships and also contains a section on funding PhD’s. postgraduatestudentships.co.uk– can search for “all types of funding, all for postgraduates”. The University of Lincoln SUMMER Financial Assistance Fund is open from 29th May 2018 to 7th September 2018. 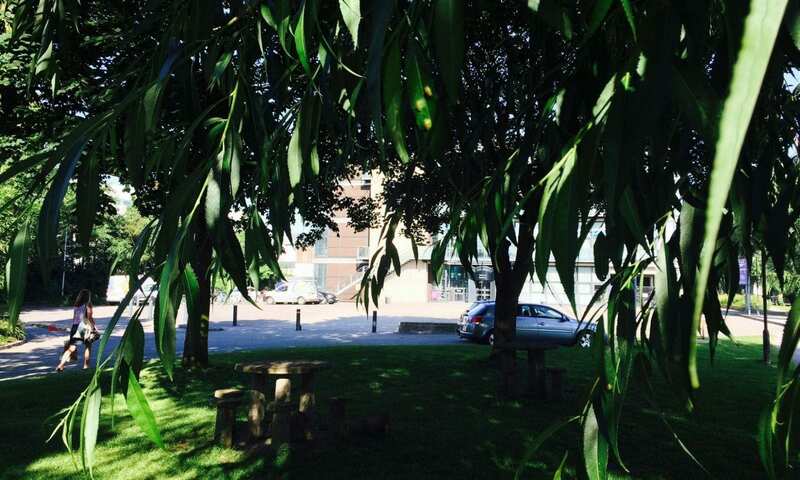 It is intended to offer financial support to continuing University of Lincoln undergraduate students who are unable to work over the summer vacation period and who are experiencing financial hardship. If you are not sure of your eligibility for these funds, please speak to an Adviser.